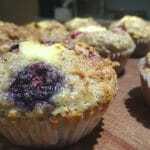 A healthy option that’s low GI and high in fibre. Cut the raw salmon steak into small pieces and place in a large mixing bowl. Shape the mixture into 6 patties, about 2 ½ inches wide. 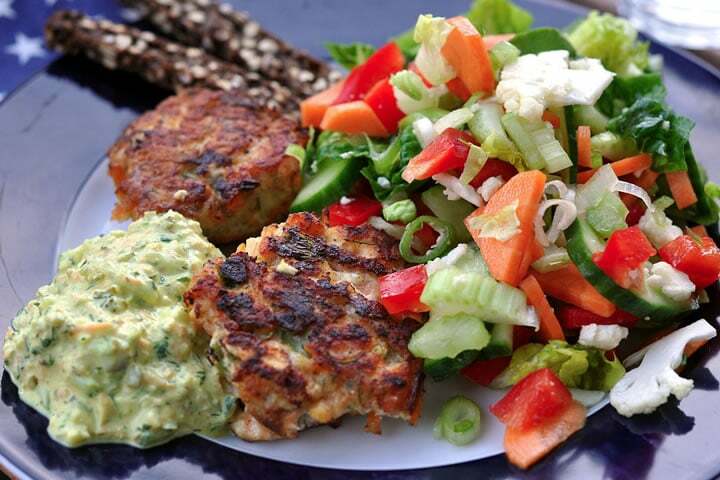 Place coconut oil in pan and cook salmon cakes over medium heat for approximately 2 ½ minutes on each side. Dressing: Finely chop garlic, ginger and coriander and place put into a small mixing bowl. Add olive oil, fish sauce and lime juice and mix well. Tip: Serve with lemon wedges and a fresh salad. Hi, I think the directions aren’t quite right. I think the missing step is, ‘mix in everything else’ is that right? Any blending or just mix with a spoon? Yes you are right. The next step would be to mix everything. I just use my hands and need it all together.